classic and western guitars out of German Spruce. Your Source of first quality tops/soundboards for Guitar. and shipping to all countries of the world! Rudolf Fuchs produces guitar tops/ guitar soundboards for classical and western guitars out of German Spruce. The guitar tops are quarter-sawn with much medullary rays from manually split (cleaved) spruce wedges with No-Run-Out! Available in MASTER-Grade, AAA-Grade, AA-Grade and A-Grade. All guitar top grades also available in Haselfichte (Bear Claw Spruce)! Following the motto "ONE MAN, ONE MISSION, THAT'S ALL IN TRADITION! ", only exclusively selected German Spruce logs/ trunks are manually split. The wooden wedges are individually quarter-sawn by hand to guitar tops/ soundboards for acoustic guitars, "MADE IN GERMANY". Many satisfied customers around the world, share my attitude of best sounding German Spruce Tonewood! German Spruce - Alpine Spruce, European Spruce, Common Spruce, (lat. 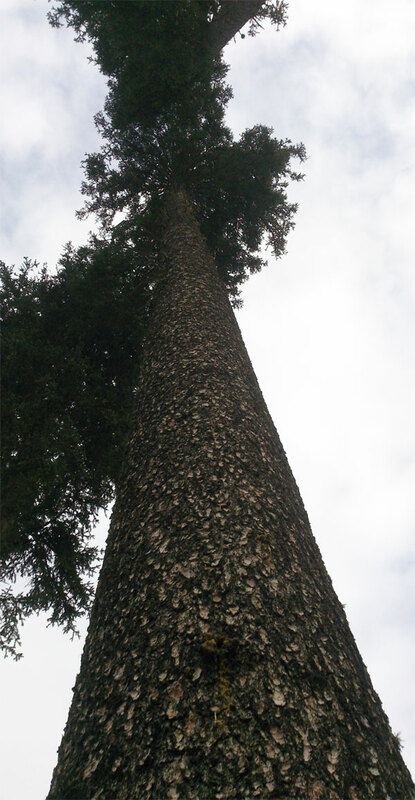 Picea Abies, Picea Excelsa) is probably the wood mostly rich in tradition concerning lutherie. The logs I use are obtained from selected areas in the Austrian Alps, Italian Dolomites, Bavarian Alps and the Bavarian Forest where they have grown in north-eastern slopes (1200m - 1600m above sea level). 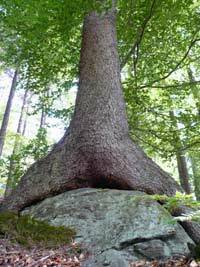 There, in the southern area of its range, the German Spruce is a mountain (alpine) tree, a fact revealing itself positively in its structure and quality (e.g. no spiral growth, density). 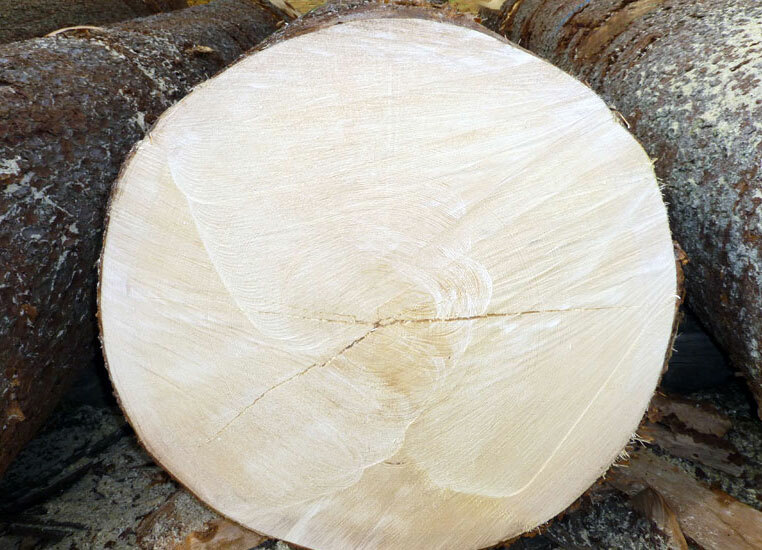 The optical quality factors of this spruce species is characterized by a whitely creamy, bright gold-tone in color and has - resulting from geographic-climatic realities - a very homogeneous and annual ring growth (tight grain), and very low ratio of latewood. This, in fact, is positively affecting the wood's tonal qualities or sound-forming factors. German Spruce is a tonewood featuring exceptional stiffness together with low density and, furthermore, this is the foundation of a great guitar sound. The sound properties are well balanced between pure notes and power to harmonic and dynamic. With the famous luthier Antonio De Torres, a man having done his handicraft on the highest artistic level possible, only using German Spruce for his guitar tops, the question which spruce to choose for one's guitar should be made decisively easier. In comparison to other soundboard tonewoods, German Spruce tends to have the best balanced amplifying/damping abilities for the optimal range in sound of an acoustic guitar. This wood species - standing under the synonym "GERMAN SPRUCE" - is used for building high-end and master-guitars for Spanish and classical music as well as for high-quality fingerstyle and western guitars. A Sound with quality and tradition!